Recently while showing homes I have had an increase in buyers asking me, is this a good neighbourhood? I certainly do my best to educate my buyers on the neighbourhood but have found this site to be extremely helpful. 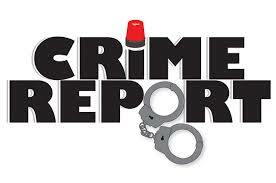 www.CrimeReports.com . I would highly recommend anyone living in a neighbourhood to check it out once in a while and see what is going on around your home. Just thought I would share it as I found it quite interesting. Have a great March Break everyone ! !